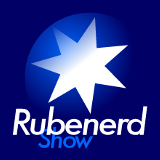 20:00 – The last episode recorded in the Rubenerd Adelaide Studio until next year! Talking about improved show sound quality, my upcoming trip to Singapore and Kuala Lumpur for the Christmas holidays, recording the show from overseas (the 'unplugged' episodes starting episode 63), atheists celebrating Christmas, unreliable internet connections, adventures with GarageBand, Audacity and Gmail, and the execution of Van Tuong Nguyen and whilst I don't support capital punishment, he had to be. Something To Think About Segment: The 2006 Holden Barina… a knockoff or a coincidence?